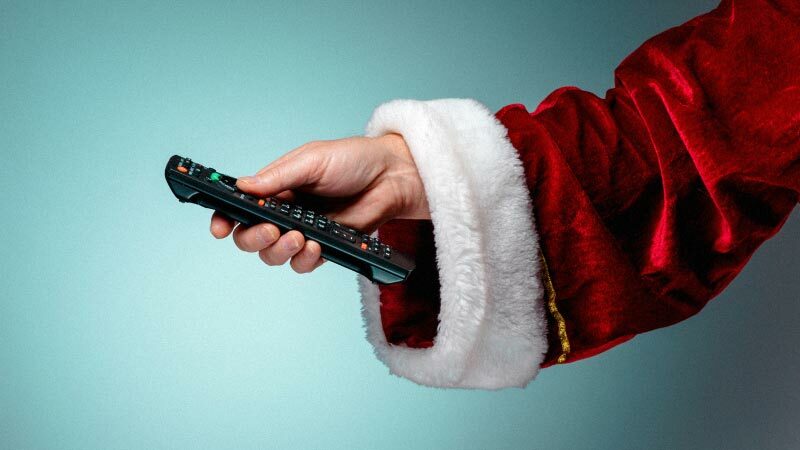 Christmas television is a much-loved part of the festive season, with millions eagerly looking forward to a bumper schedule of comedy, drama, sport and entertainment. It’s a time when iconic TV moments are made and audience expectations are at their highest, so a huge amount of work is put into ensuring that the content is as good as it can be. Over recent months we’ve had broadcasters and productions companies from all over the country using our studios and post production facilities to make their Christmas programmes. From Christmas Specials of family favourites and welcome remakes of TV classics to brand new shows made exclusively for this Christmas, there is something made at dock10 on all the main channels this festive season. Here is dock10’s very own Christmas list! Sports shows made here include all the football action from Match of the Day, Match of the Day 2, Match of the day: The FA Cup, Football Focus and Final Score, as well as A Question of Sport’s Festive Fun and Premier League specials. There is Music from the BBC Philharmonic, the Archbishop of Canterbury’s New Year Message and the popular Carols from Kings, as well as a seasonal bible reading called On Christmas Night. For kids, there is Justin’s House, a Swashbuckle Christmas Special and the Blue Peter Christmas Special with the Duke and Duchess of Cambridge in the studio to receive their Gold Blue Peter badges. Entertainment shows made at dock10 include classic quizzes such as a series of celebrity Mastermind, a Christmas University Challenge, Countdown and its popular spin-off 8 out of 10 cats does Countdown with its own Christmas special. The 90’s classic game show The Price is Right is back for a Christmas special with Alan Carr, Jonathan Ross hosts a brand-new one-off celebrity packed show called Guess the Star, and a Christmas special of Even Better than the Real Thing pitches some of the world’s best tribute bands against each other. The award-winning Mischief Theatre Company spreads comedy and chaos with A Christmas Carol Goes Wrong, while Jane and friends at Christmas brings the music specials of the 60’s and 70’s back to the small screen. There will also be The Jeremy Kyle Show, Naked Attraction and a Christmas episode of Dragon’s Den. Here at dock10, we’re immensely proud that over Christmas and the New Year families all around the country will be settling down to watch so much brilliant television that has been made in our studios and post production. We wish everyone a fantastic Christmas.